The heart of Valentine's Day is this: "you are special to me -- am I special to you?" We have many, many ways to say that. Chocolate we have discussed earlier --our fair-trade chocolate shows how you care for the people of the earth, and the earth, as well as the recipient. Our jewelry does that also. Our elegant, shimmery, beaded red necklaces from Nepal are made by women who are earning school fees for their daughters. Our South African recycled copper and brass heart bracelets, necklaces, and earrings, are made by women and men in a safe, clean workshop. Amber hearts from Poland, in pendants, earrings, and rings, provide economic benefit to people whose country has undergone a huge transition in recent years. And all the jewelry is gorgeous! Not shopping for jewelry? You can say a lot at Crossroads with a modest budget. Our art cards, all suitable for framing, are blank so you can pen a suitable sentiment. Our colorful Kenyan hearts are just $3.75, but they hold a lot of emotion. Liz, our henna artist in residence, will offer free, heart henna tattoos on Friday and Saturday, Feb. 12 and 13. Do stop by. 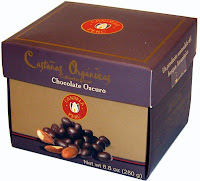 For Valentine's Day: Fair-Trade Chocolate! Chocolate is a $13 billion business in the United States, yet consumers seldom know its real cost; 284,000 children work in as slaves or indentured servants in West African cocoa plantations.Historically, cocoa farmers have no control over the price they are paid for their crop. Prices fluctuates dramatically. With no floorprice and an unstable market, cocoa farmers' only opportunity tomake ends meet has been exploitation of children, the world's most vulnerable workforce. 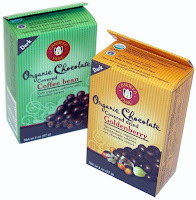 Buying fair trade chocolate ensures that farmers are paid a fair wage for their crop. Fair trade companies guarantee a floor price for cocoa production, with additional guarantees if industry prices rise above the fair trade price. Children stay in school. They are not sold into servitude to work in cocoa fields. Your purchase of ethically sourced chocolate tells the chocolate industry that this matters to you. Check out our delicious chocolate treats today!